Everything you need to know about how we support our learners and respond to feedback. The information on this page is all about how we support you as learners and gather and respond to your feedback. User support is the most important thing we do in the library. Why? Because we want you to get as much as you possibly can out of the learning resources and study spaces the University offers, and to do that you need to know what is available and when, and how to access and/or make use of it. That's where the support comes in, and why your feedback is so important to us. See below for information about the different ways in which we support our users. Read our brief guide about the Library and the different ways you might use it as you progress through your course. A couple of years ago we asked current students what they wished they'd known earlier about the Library. Click below to see some of the responses. One of the ways we inform and enhance library provision is by analysing and evaluating relevant feedback. We use data from module evaluations (internal to BGU, collected towards the end of each semester), the National Student Survey (a national, annual survey open to final year undergraduates) and the BGU Student Satisfaction Survey (an internal, annual survey, open to all BGU students), as well as informal feedback gathered at the Library's Service Desk and two Enquiry Desks. Each year we publish a formal response to the BGUSSS, the most recent of which can be found below. 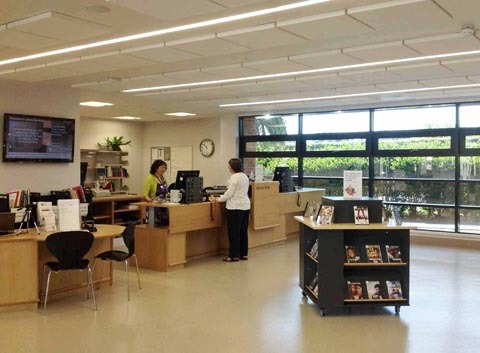 Drop in to the Service Desk for questions about borrowing and/or your library account, or drop in to the Enquiry Desk (on the ground floor of the near the main book shelves) for questions about finding information and using our resources. If there is no-one at the Enquiry Desk simply go to the Service Desk - staff there will either answer your enquiry, find a librarian for you to speak to, or show you how to book an appointment. The Enquiry Desk in the Teaching Resources Collection is staffed for four days a week during term time (usually Mondays, Tuesdays, Thursdays and Fridays) by Teaching Resources Librarian Janice Morris. We offer 1-to-1 tutorials at your convenience on all aspect of library services. To book an appointment click here or talk to someone at the Enquiry Desk or Service Desk. Our LibSkills tutorials are designed to help you get the most out of the multitude of BGU Library resources, services and facilities at your disposal. Whether you're an undergraduate, a postgraduate or a member of staff, enhance your existing skills and develop new ones by attending a LibSkills tutorial. To see a full list of the tutorials available and when they are running, or to book a place, click here. 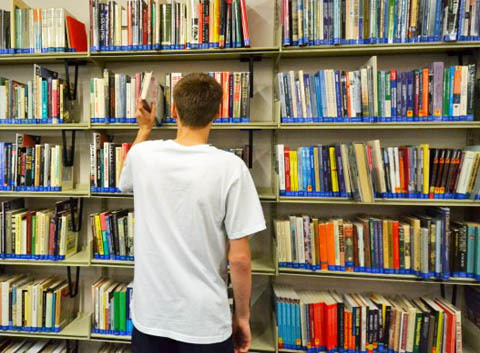 Library orientation sessions are arranged for all new students; the vast majority of orientation session are timetabled by your lecturers and occur during your first few weeks at BGU. If you missed your library orientation session, or were suffering from a bad case of information overload at the time and can't remember what was said, why not attend one of our refresher sessions or book yourself a 1-to-1 tutorial? Top-notch research support shouldn’t be limited to large, research-intensive libraries. Though still in early stages of development at BGU, it is important to us that our research support framework is robust, effective and fit-for-purpose. So, don’t hesitate to come and ask us for assistance, and in the process help us to shape the future of research support at BGU. Whether you are training to be a teacher or teaching assistant, work in an early years setting, are studying children's literature, or are a member of staff, our TRC (Teaching Resources Collection) is a great source of inspiration and contains lots of different types of resources, many of which you can borrow. Teaching Resources Librarian Janice Morris can be found in the TRC most weekdays, so why not drop in and see her? In terms of general support, pretty much everything you need to know about the Library can be found here on our LibGuides site or on our FAQs site AskUs (see tab above). The links below take you to other sections of this site (all open in a new window). Information for students with additional needs is available here. Information about printing, copying and copyright is available here. 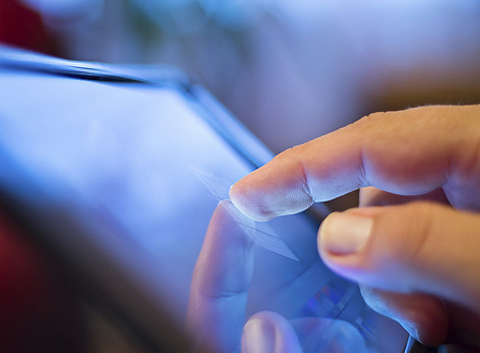 Information about online resources is available here. Information about WorldCat is available here. Information about borrowing and membership is available here. Information about services for distance learners is available here. 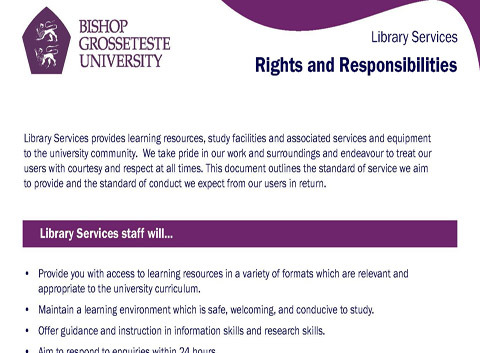 Information about using library services whilst on placement is available here. Information about information literacy and search tips is available here. Information for visitors is available here. Is there a book, ebook or DVD you think we should stock but don't? 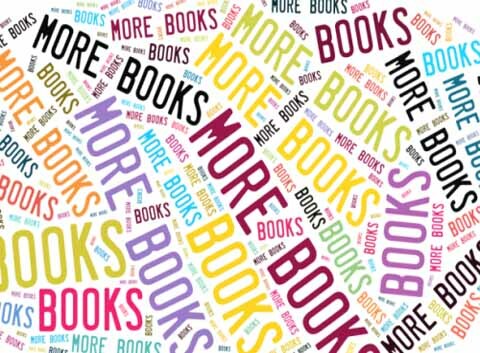 If so, you can use our More Books scheme to request that it be purchased. Any BGU student can submit a More Books request. If the item you request is not already in stock, is considered useful to the rest of BGU's academic community, and costs less than £40 it will automatically be purchased. A member of the library team will also contact you via email to tell you what action we have taken as a result of your request. Below is a link to the basic ground rules; to submit a request click here. Search results image from Microsoft Office ClipArt. Man at shelves, user guide and service desk images ©Bishop Grosseteste University. More Books graphic designed using Tagxedo.